It is always interesting to know where visitors to my blog and website come from. The Clustrmaps that I use give some interesting information. Yesterday last year's Clustrmaps were archived but this is what they told me about blog visitors. No doubt many visitors just stumbled here by accident and left in a hurry but hopefully some enjoyed their stay. It would be really interesting if some of our overseas visitors just took a few minutes to introduce themselves and say hello. You could do this by visiting the guestbook on the website or alternatively post a comment here. Click here for larger maps which shows visitors to both the blog and website and also a breakdown of the countries that visitors come from. Maybe we need to consider planting rice! 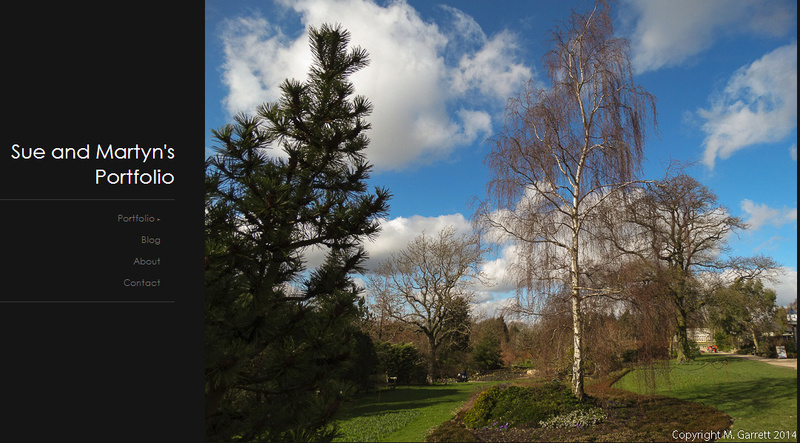 The January diary has been updated click here. Today our visit to our plot was just to collect a few vegetables for next week. There were interesting noises as the carrots and parsnips were dug up. If we stayed in one place for too long we started to sink. 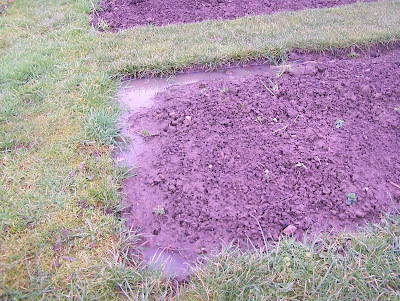 We desperately need the soil to dry out but there doesn't seem any sign that this will happen soon! Thinking of buying a shed or greenhouse? 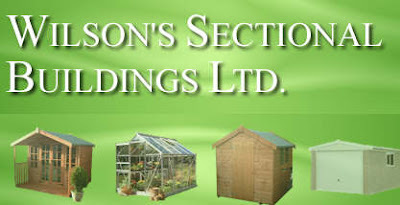 Wilson's Sectional Buildings Limited is based in Batley, Yorkshire. Established since 1983, has built-up an unsurpassed reputation for quality and customer care with a wide range of garden sheds, summerhouses, play dens, greenhouses and concrete garages.The quality buildings are attractively designed, strong and cost effective. My diary for January has been updated - click here to read. 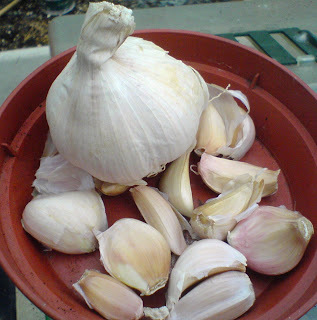 Garlic needs some very cold weather before the spring to encourage it to grow well. 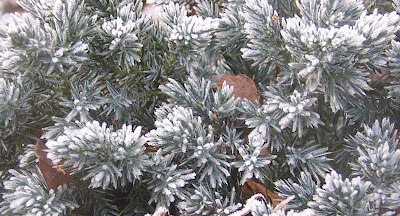 That makes January an ideal time for planting! 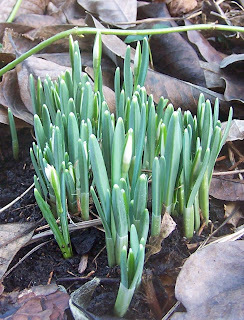 In the garden green shoots are springing up and the snowdrops and hellebores are in bud as are many shrubs. It may be freezing cold outside but there are definitely signs that spring isn't too far away. The manure saga rumbles on! Debates on the contaminated manure issue are still going on in the background. It is unclear at the moment whether the use of aminopyralid will be affected by the latest EU legislation on the use of pesticides. Mary Creagh (Wakefield) (Lab): Animal feed is one very important part of the food chain, but the focus and function of animals and farms in passing on manure to allotment holders is another vital part of it - the food chain. I have been contacted by allotment holders in Wakefield who have had farmers selling them manure that is not pure but has been contaminated with chemicals. What has my right hon. Friend’s Department been doing to ensure the minimisation of that and to ensure that people who want to grow their own do not end up with distorted carrots and parsnips? Jane Kennedy: I am very interested in the case that my hon. Friend has brought to the House, and I would want to have the opportunity to look into it in detail. The Environment Agency will be closely at work on the detail of this matter, and my right hon. Friend the Secretary of State is also following it closely. We are aware that a particular product has been withdrawn. I will be happy to meet my hon. Friend, or if she would care to write to me with the details of the representations that she has received, I will be happy to look into them. 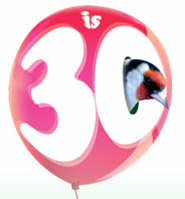 The BIG GARDEN BIRDWATCH is 30 years old this year. This year it will take place on the weekend of the 24 and 25 January. 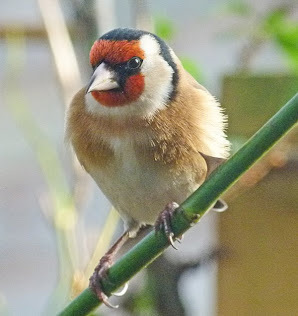 Taking part in the Big Garden Birdwatch is simple and fun. All you need to do is watch your garden or local park for an hour on either Saturday 24 or Sunday 25 January 2009. 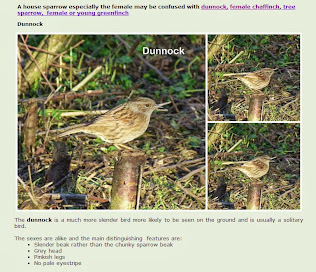 Simply record the highest number of each species seen in your ga rden (not flying over) at any one time. I have started the January 2009 diary which will have a slightly different format this year. The first entry has very little activity on the allotment or in the garden. I wonder why that is? Click here for diary page.